I can’t even explain to you how much I love LOLI Beauty. I first met founder, Tina Hedges, about 2 years ago at Indie Beauty Expo and was pretty blown away by her unique beauty concept, but now she’s taken the brand to a whole new level – so it’s time for me to proclaim my love out loud! LOLI Beauty comes in a gorgeous Sophie-approved box (every single aspect of this brand is eco and ethical). 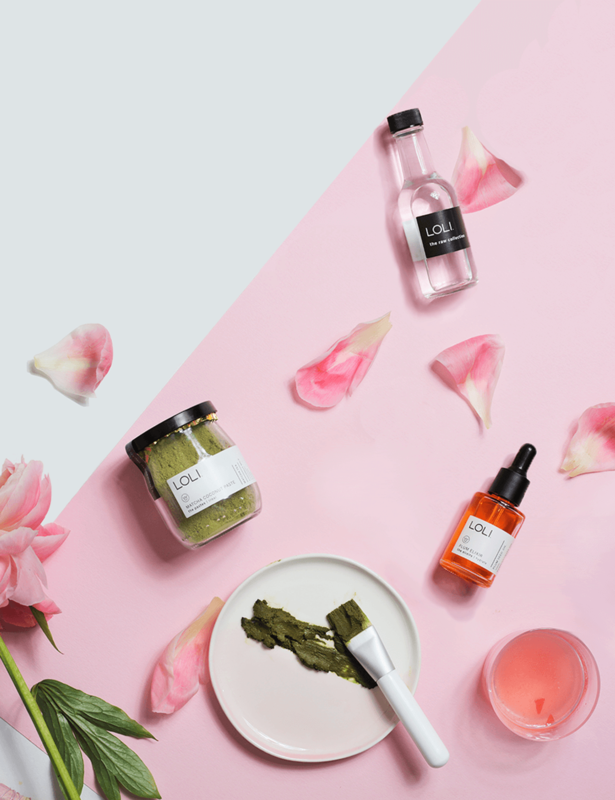 All of their products are truly top-of-the-line, and are gorgeous as stand-alone beauty and skincare products, or blended together to create bespoke skincare designed by you, for you. I have to tell you, I LOVE a DIY, and LOLI makes it so fun. But if you’re the kinda gal who’d rather treat yourself to a stand alone product or two (or three or four), LOLI is perfect for you too! There are so many stand-out recipes that it’s hard to pick out a favorite, but I’m going with the BIY Sweet Matcha Rose Mask (that’s BIY as in blend-it-yourself, awesome) because it’s an exceptional kit. It contains Matcha Coconut Paste, Plum Elixir, and Rose Water – what a unique combo. It’s the ultimate luxurious, hydrating treat for your parched or mature skin. One of things that blew me away about the LOLI concept is that they’ve taken DIY to a whole new rather luxurious level: Instead of ordering all your big bottles of plant oils, and tiny (but expensive essential oils), LOLI has everything measured out and ready to go. They even include compostable mixing bowls, bamboo mixing sticks, and tiny doll-sized bottles – I’m in DIY heaven!!! Now that I think about it, LOLI BEAUTY boxes would be so much fun for a bridal shower, or a girlfriend slumber party. I have a good friend who is about to go through chemo and radiation. There’s a small group of us who have elected ourselves to be on her “team” and go through this journey with her, and I can’t think of a more fun thing to do than to treat everyone with LOLI box. We can all gather at my friends home, open our boxes, mix our masks, prepare our serums, and have a total beauty night, which is safe and nourishing because every ingredient that LOLI uses is! All LOLI ingredients are certified organic, fresh, and pretty much the highest quality that you can find. Never diluted or polluted, always food-grade, fair-trade and ethical. Pretty much all of my buzz words. And here’s the kicker: All of their stand-alone products are multi-purpose. Their plum elixir is a hair and body oil. The Date Nut Brûlée is a 3-in-1 balm. So, I truly think of these products as beauty multi-taskers, which means they are a great investment.